THE FOOD BANK at ST. JOHN’S NEEDS SOME HELPING HANDS!! 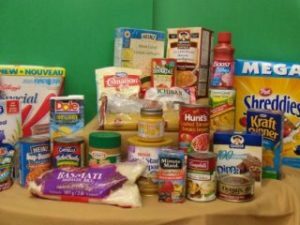 The Food Bank at St. John’s is a satellite branch of the Cambridge Self Help Food Bank. It is open every other Thursday from 9:30 to 11:30 AM. Volunteers are needed to help with set up and take down, greeting clients, and distributing food. If you are interested, please contact the church office at 519-653-3323 for further information.